You might want to stress skills like communication, critical thinking, and organization, as well as any specific experience that will help distinguish you from the competition. Newer teachers can feel free to mention experience gained during their training and education, as long as it applies to the position. The usual rules for cover letters apply: give the hiring manager a sense of your experience, skills, and philosophy, but don’t try to tell your whole life story in a few paragraphs. If your resume and portfolio are your highlight reel, your cover letter is the teaser: you want to capture the reader’s attention and make them interested in knowing more. Keep it succinct, and don’t duplicate the information in your resume or CV. As a graduating honors education major at ABC College, I have a very strong interest in pursuing a teaching career. With experience working at both the elementary and high school levels, as well as in activities outside of the traditional classroom, I have a diverse background with much to offer. My first classroom teaching experience was during high school when I served as a volunteer elementary school religion teacher at a local church for three years. In addition, I worked for several summers at Sunny Beaches Arts Camp teaching theater, coordinating and staging a play each season. I have student teaching experience at the first- and fourth-grade levels in both suburban and urban school districts. During these in-service experiences, I particularly enjoyed working with at-risk children. 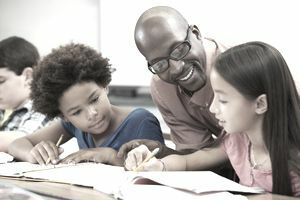 My careful preparation of lessons allowed me to break down complicated concepts to simple examples that my young students could grasp, which was rewarding for both my students and for me. Last year, while studying in Madrid, I taught English to high school students. Managing the difference of abilities among my students proved difficult, but gratifying, challenge. I tailored activities to maintain the interest of high-level students without intimidating less-skilled English speakers. My resume is enclosed; I am forwarding an official copy of my transcript along with references under separate cover. I will reach out to you next week to discuss employment opportunities; in the meantime, please feel free to contact me at [insert telephone number] or [insert your email address.]. I look forward to speaking with you. The following is an example of a resume for a teacher. It includes teaching experience, certification, and other work experience. It’s a good idea to match your resume to the ad, selecting keywords that appear in the job listing. Leverage training experience in classroom management, lesson planning, parent communications, and event coordination to create positive and supportive learning environments for at-risk students. Fluent in English, Latin, and conversational Spanish. TEACH FOR AMERICA, Chicago, Ill. Taught fourth-grade English students at P.S. 123. Developed lesson plans, reviewed and graded in-class and homework assignments. Coordinated monthly “Family Fun Night” to build community and raise funds for classroom supplies. Responsible for leading educational activities for day care-aged children, including building skills in interactive software and basic reading and writing. Assisted with classroom and administrative duties. COUNSELOR (May 2018—July 2018)Counseled, supervised, and chaperoned special-needs teens throughout daily activities.